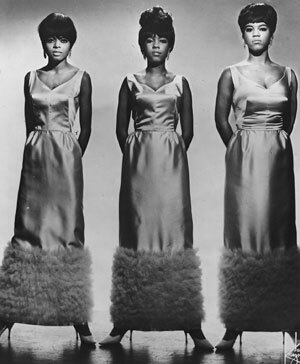 If you couldn't get to London's V&A for the Story of The Supremes exhibition or you've missed it at the various other locations it has stopped at, you have another chance to catch it – this time at the Shipley Art Gallery in Gateshead. It sounds like the same exhibition in its entirety, with over 50 dresses on show, including several costumes designed by Hollywood designer Bob Mackie for TV appearances, as well as the gold, bronze and yellow ‘Butterfly’ gowns worn on the cover of the 1969 album Cream of the Crop and the glitzy black velvet gowns worn for Diana Ross’ 1970 farewell performance with the group. 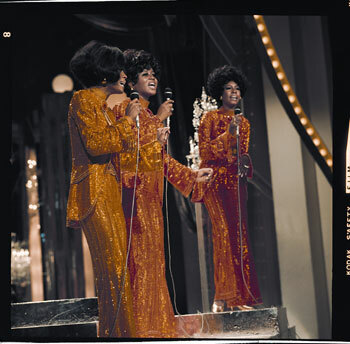 It's all accompanied by original television footage, photographs and magazine spreads, as well as taped interviews and a 'series of events celebrating the music and fashion made famous by Motown and The Supremes'. It runs from 24th October 2009 to 24th January 2010.